Summary: The fireplace phenom is contagious…plus the jagoffs are bursting with excitement. The Ya Jagoff podcast will welcome Moats’ Notes so that Steelers fan fave Arthur Moats can weigh in on a few of his fave things. So, we gather around the Moats’ fireplace and welcome comedian/musician Mike Travers who captivates audiences with his wit and music,and wait til you hear what his day job is. Plus, Moats’ fave sportscaster extraordinaire, Alby Oxenreiter, talks about broadcast longevity. 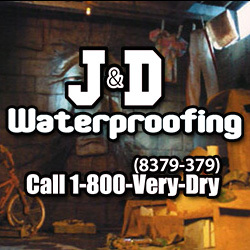 Home improvement masters, J&D Waterproofing, offer winter prep tips as our sponsors and CoreLIfe Eatery’s, Cydney, warms us up with her choices of plant-based goodness. To listen, click the PLAY BUTTON below. Don’t see the PLAY BUTTON, above, in your email, click the one below to listen while you STAY WARM! SPONSOR: Total Sports Enterprises is fueled by sports and fans, so it is no surprise that TSE will be at Kidapalooza on Feb 2 at the David Lawrence Convention Center with some pretty sweet fan favorite items and a silent auction. If sports is your thing, and you are looking for a fundraiser, let Total Sports Enterprises provide a no-cost auction. Visit TSEshop.com or chat with John and Rachael for your best auction option. Question of the day: In honor of our trivia hosting night flashing back to the 90’s, what is your favorite nineties song? 3:26 Shawn/J&D Waterproofing: Our sponsor J&D Waterproofing sends our main man Shawn to rub elbows with the Moats’ since he loves the idea of hanging with a Steeler, and near his stomping grounds in the southern parts of the ‘burgh. Between elite customer service and immediate acknowledgement of remedying a home improvement need, it is no surprise that he is boasting of the eight decades in business. 8:31 Arthur and Shonda Moats: Have you heard the saying #Don’tCrossTheMoats? Well, not true of this fab five unless they are in the middle of a NetFlix movie—one of their favorite family things to do. 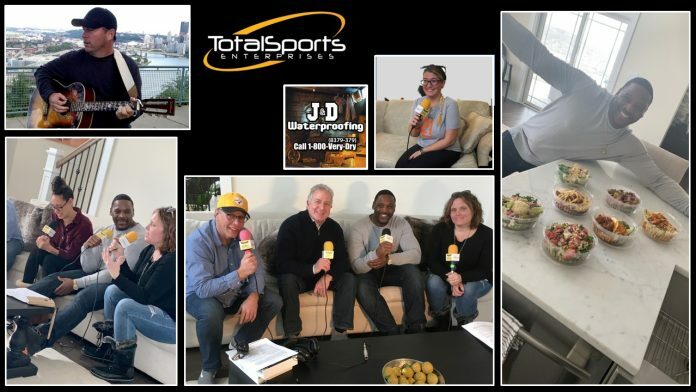 Between sport practices and classes, the grid iron group prove that life after the Steelers in better in the ‘burgh, and John and Rachael welcome Arthur as an extension of the podcast with Moats’ Notes: A top 5 list of Moats’ fave things in Pittsburgh. 25:51 Mike Travers: Introducing the man who employs comedians, and where else but the airport—and not the front desk. This singer and comedian is in charge of the group of funny guys who signal planes regularly, well and laughter. He jokes at places like the Improv, reginal comedy clubs and fundraisers mixing original music and audience participation for unique experience. Mike Tavers‘ melody for the podcast is perfectly titled the Pittsburgh Song. 38:39: Cydney Ballew: The CoreLIfe Eatery rep discusses the perks and delish dishes that are part of the 21-day challenge. She made sure she packed her CLE bags full of protein to feed double 5’s and his family—and Arthur gave a high five for the Kale Ceasar Chicken salad. SPONSOR:Total Sports Enterprises is fueled by sports and fans, so it is no surprise that TSE will be at Kidapalooza on Feb 2 at the David Lawrence Convention Center with some pretty sweet fan favorite items and a silent auction. If sports is your thing, and you are looking for a fundraiser, let Total Sports Enterprises provide a no-cost auction. Visit TSEshop.com or chat with John and Rachael for your best auction option. Thanks To: Colin Parrish for the photos and video. Previous articleWhat is Actually Wet? The Last of the Jagoff Displays! The World Series is Rigged! Be VEWY, VEWY Quiet.. It’s Pothole Season You Know!